MEMORY ETERNAL! 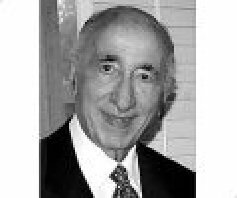 ERNEST ALEXANDER YOUNES, a longtime member of the Archdiocesan Board of Trustees, reposed on Saturday, June 4th at the age of 93 and was buried on Tuesday, June 7th from his parish church of St George/Richmond Hill, Ontario, Canada. He was preceded in death by his wife YVONNE and a son ADEL, and is survived by his children MONA and Albert Gorab, NADIA Younes, RAMI and Joanie Younes, MAGDA and Richard Zakaib. Please join me in praying a rope for the repose of Ernest's soul, saying, "O Lord Jesus Christ, grant rest to the soul of Thy departed servant." May he be granted Paradise, and may you be granted long life.